Early July the SeaFest 2015 event was held in Ringaskiddy, Co. Cork, Ireland. 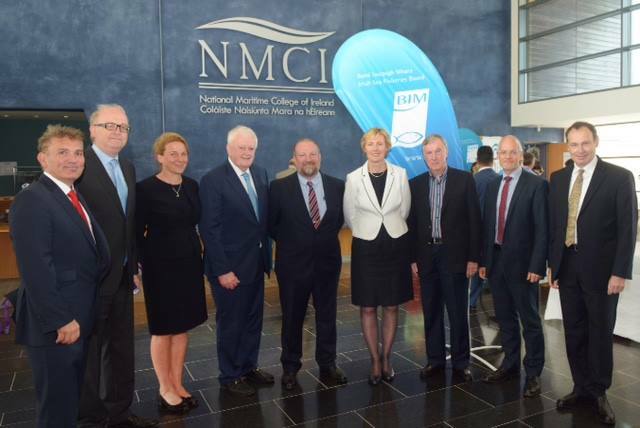 The Our Ocean Wealth conference was aimed at showing the potential of the sea as part of a successful economic development for Ireland. I had been invited by BIM (Bord Iascaigh Mhara, the Irish Seafood Development Agency) as a speaker and my presentation was about future technologies and how they will change seafood production, both in fisheries and aquaculture. One of my previous articles, “Robots, sensors, drones and big data are coming to the sea, too” had caught some attention. The agricultural sector is currently implementing many new technologies at an amazing pace. The comparison with precision agriculture is quite useful for the seafood sector. The development of robotics, sensors, satellite imaging and analysis, unmanned vehicles such as drones and driverless tractors, data software, artificial intelligence and interconnected devices are already revolutionizing many sectors of food production and it is just the beginning. The picture of the future that I have in mind is amazing and the possibilities seem almost endless. Imagine if fishing vessels do not need operators anymore. Would they need to float or should they operate as submarines? What would the effect it be on their size, their shape and the way they fish? Imagine robots equipped with sensors replacing divers on fish farms, executing the current tasks and at the same time being able to inform about water quality and other production conditions, presence of contaminants or diseases. Imagine fish farms being connected to such robots and to global satellite and data collection systems making them move or change configuration to get to better production conditions or to avoid negative interaction with wild marine life, thus constantly optimizing production performance and reducing –maybe eliminating- long-lasting environmental impact. Carrying out an “Imagine Exercise” is not only useful but it is fun. While the previous generation of automation was about adding muscle to operators, the new technologies are adding extensions to the operator’s senses and creating a nervous system. The muscle era was about strong, big and fast, but it required an operator. The nervous system era is about smart, adaptable, much faster, and decision and action will be taken without human intervention. By combining the possibility to monitor production parameters with the ability to detecting faster than ever before the environmental impact of production activities, new technologies will play a prominent role in helping food production become more efficient and more sustainable. They will help reduce the use of resources and save money. The interconnection of databases for both production and environmental monitoring will allow many possibilities for forecasts, simulations and comparison of scenarios. They will be outstanding tools for decision making and policy making. New technologies are going to offer a platform for collaboration between all stakeholders, be it businesses, governments and NGOs. Similarly, as the data will be made available, all the links of food value chains will be able to access and exchange information like never before. The potential to reconnect consumers and producers is amazing. Transparency and interaction are the way of the future and the tools that are coming will make it so easy. The global village is going to be exactly that. Virtually, everybody will have the possibility to know about everything they need to know about everybody else. Just like in old-fashioned villages, keeping secrets will be quite difficult and social control will prevail. Just see the reactions to inappropriate statements on social media to realize that this trend is already on. Communication and behavior of food producers will have to adapt to this new form of relationship, because there always will someone watching and telling. Helping us live better and longer. Offering more leisure and entertainment. Making some people a little wealthier. However, these drivers are not sufficient by themselves. An essential part of successful innovation lies in its practical use. I always insist in my presentations on practicality of technology. Innovation is not an intellectual exercise. When it comes to business, innovation must actually fulfil one or more of the drivers mentioned above and it must also be financially viable and advantageous. In other words, to be adopted, innovation and technology must add value. Although they may be fun, cute and exciting, gadgets do not really belong in that category. For the future, we need to look beyond just technology. Giving the proper importance to the human factor and focusing on the practical side of new developments are two essential aspects of success. This is why the second book I published, We Will Reap What We Sow, is subtitled “Reflections on Human Nature and Leadership and Feeding a Growing Population”. Getting people to do the right things right through clear vision and solid leadership is what will eventually make the difference between prosperity and trouble. A number of qualities will help a long way towards a successful future. Curiosity will be an invaluable quality. Innovation is taking place is all areas and many innovations can offer useful applications. It is necessary to follow what is happening elsewhere. In the past, innovations came from the own sector. It is no longer the case. Now it happens in start-ups that have nothing to do with food. The potential lies in creating applications for a particular purpose. There is much to learn from other food sectors, but also from the military, the medical sector, the tech sector, and not just in Silicon Valley. Another essential quality will be pragmatism and openness. Disruptive technologies will bring disruptive solutions. Tomorrow’s way will be different, technologically and philosophically. It will be useful to regularly brainstorm and review how things should be if they were to be set up from scratch all over again, by using all the latest knowledge and also from the experience, successes and mistakes from the past. To tackle the challenges of the future effectively with new technologies, it will be crucial to be practical. Applications must serve a purpose and deliver the solutions to the problems we face. It is not an intellectual exercise. A spirit of collaboration will be one of the keys for future success. Nobody can solve future problems alone. Wanting to help others succeed and not being shy to ask for solutions to succeed will get us a long way. Even though we seem to live in a world where pointing fingers, blaming and punishing is the preferred choice to deal with problems, it is necessary to approach the future with a 180 degree angle and reward and praise those who do things right and solve problems. Copyright 2015 – Christophe Pelletier – The Happy Future Group Consulting Ltd.
Robots, sensors, drones and big data are coming to the sea, too – Fishermen and aquaculturists: be prepared! There is not a day that goes by without articles about new technologies in agriculture. I enjoy seeing the excitement because I believe it is will revolutionize how farmers produce food. When I started The Food Futurist in 2009, I saw right away that this was coming. I have to say that I am even happier to see the interest for all the drones, robots, driverless tractors and sensors as when I was telling about it in my presentations until probably just 18 months ago, the audience would look amused. They would love to hear my “Star Trek” story. That is how my topic was referred to. It was entertaining. They liked the story but they reacted as if I had a bit too much of imagination. For sure I never come short of that but to me, it was no fantasy. It was going to happen. And I do not see why it would not happen at sea just as well. The arrival of new technologies is interesting far beyond simply the technological aspect. The possibilities are many if we decide to use them to their full potential, by linking them with each other and with the management of farms and of the environment. Just like in agriculture, so far mechanization had been mostly about adding muscle to the operators. It was about performing physical tasks faster with less manual labor. The new technologies are of a different nature. They are about creating a nervous system. With the new technologies, the ability to monitor, collect data, analyze, make decisions will not only be faster, it has the potential to be autonomous, but under supervision of the farmer. It will provide more precise information, reduce the possibility of errors and will fix mistakes mush faster when they happen. Just like on the land, new devices will be available. Satellites, drones and sensors will be able to be the eyes and the senses of the operator. Data processing software and artificial intelligence will be able to monitor in real time and 24/7 any event on the fish farm and in its environment. It will be able to report and initiate relevant actions. Robots will carry tasks that used to be done by the farmers. Fish robots are being developed. 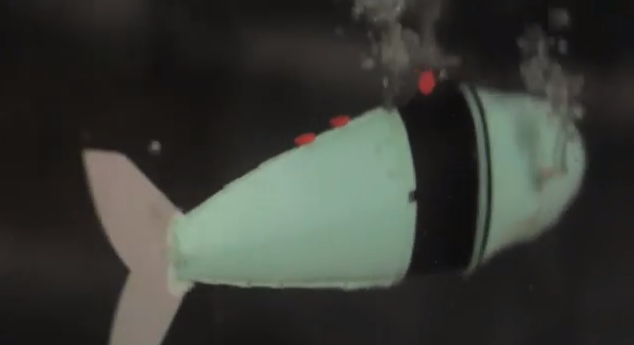 For instance, the Massachusetts Institute of Technology (MIT) has created a soft body fish robot. The development of such fish robots is aimed at carrying out research on fish schools in the oceans, but there is no reason why similar robots could not be made to swim between the fish on farms, to monitor them and to record and report information about proper feeding, fish growth and fish health. From a technical point of view, nothing stops us from adding biometrics software in the fish robot that could be used for ongoing sampling to estimate the size of the fish in production, and the size distribution as well. It would replace static cameras and the need to dive in the nets. The “vision” of robot fish would probably be better than the human eye. Of course, the information collected by the robot would be sent to the computer to continuously determine technical production results and readjust feeding and harvest schedules. Sensors inside and outside the nets would allow to monitor environmental conditions such as water quality, in particular oxygen content. Biosensors could monitor levels of plankton and risks of algae blooms as well as the presence or the level of pathogens. All that information would be linked to the computer and fed to the central nervous system assisting the farmer. Satellites and aerial drones can also help monitor events inside the pens and provide further production information to complement what originates from the fish robots. They also can give a bird’s eye view of the farm environment. This would work in two directions. One is the prevention of harmful events to enter the nets. The other is the monitoring of the environmental impact of farms to prevent any pollution or take corrective action at once. Sensors at the bottom of the ocean and aquatic drones could also take continuous sample of the environment around the farm to detect any potentially harmful component for the environment. This would help making fish farms more environmentally friendly. In such a design, the farm becomes part of the nervous system. It can be managed even from a distance. After all, some people have already built a number of houses that are connected in such a way these houses can send tweets to the owner to tell them of any event inside or outside, even if someone is at the door. It is also possible to think of linking the system to the nets and have the net size adjusting automatically to the production conditions inside and the need of the proper volume based on water quality data. The farms could also move –horizontally and/or vertically if needed, depending on water quality, but also to avoid harmful interaction with wild fish, which is always a contentious issue between fish farming and commercial fisheries. Such mobile cages already exist. With all these systems, the farmer could actually follow several sites, instead of one, at the same time on interactive screens and interact with the machine and the systems. It gets even more interesting by looking from further away and higher up. By having robots and aquatic drones roaming the oceans, it will become easier to have a full monitoring of ocean ecology, environmental conditions, sources of pollution, stocks of the different seafood species and all other life forms present. It would make fisheries’ management easier and more effective. It would address sustainability issues both for fisheries and for aquaculture. It would not only help seafood producers, but it would provide fact-based support to make policies -locally and globally- and to manage an important part of food production in better harmony. The use of new technologies does not stop at the farm or in the ocean, though. Seafood processing, like any other food production, is also going to use robots more and more. Quality will also be monitored through new technologies and reports will be produced automatically. Robotics and data collection will ensure production and quality system that can take corrective action automatically. By connecting all the data produced along the entire production chain, traceability and transparency will be improved further. If used well big data can help improve food quality, sustainability and cooperation between the different stakeholders. It will help manage more efficiently. It also will be a tool to increase trust in the way food is produced and allow a closer connection between producers and consumers. Here is a presentation about new technologies I did recently at a Precision Agriculture Conference. If you invite me to a Seafood conference, I will be happy to talk about the future with your audience. Copyright 2014 – the Happy Future Group Ltd. This could have been the third example, after canola and vines, of what I called earlier “Science being taken hostage”, but this story actually goes beyond just the tactical use of selected science. The Fraser River sockeye salmon is returning in record numbers to British Columbia (BC) in Canada, the highest numbers in a century. This good news comes at a time when discussions about the disappearance of sockeye were reaching a climax. Last year, the number of returning sockeye salmon was very low and considered by some as alarming. Scientists, and pseudo-scientists, were presenting their own conclusions and they were debating about how the future looked. Those who are not familiar with the salmon issue in BC need to know that for 20+ years, a war between environmentalists and salmon farmers have been waging. Although all the participants in this debate claim to base their statements on science, Nature is just throwing facetiously some oil on the fire. Environmentalists have accused salmon farms of being the cause for the (apparent) depletion of wild salmon stocks. Much of the accusations rested on research carried out by a local environmentalist who linked her sea lice counting and mortality of juvenile pink salmon to fish farms. Until last year, she seemed to have something of a case, as returns of pink salmons into BC rivers were low. Last year, though, the pink salmon returned in large numbers, which contradicted her theory. For years, the fish farming industry did what it had to do. It always denied any responsibility in the decreasing numbers of pink salmon, using the selected relevant science to support its case. Ironically, when the pink salmon returned massively last year, salmon farmers were cheering the good news, but environmentalists had been rather discrete to express what should have delighted them. Maybe good news is not always good news. To make things more twisted and controversial, last year’s returns of sockeye salmon, which is a different species of Pacific salmon, were quite low. Although environmentalists never addressed any concern about salmon farms and sockeye numbers, they suddenly saw a connection. The debate became so animated that the Canadian Prime Minister himself decided to set up an inquiry about the disappearing Fraser River sockeye salmon. An inquiry commission was set up with the objective of reviewing with all parties involved the situation, and then present some conclusion. Of course, science(once again) must be the basis for the investigation. I can give you the summary of what the conclusion of the commission would have been, and still might be. “The ecology of salmon is complex and it was not possible to identify any culprit for the disappearance of sockeye salmon with certainty. The commission recommends a number of actions to be taken by all stakeholders in their respective fields of activity. The commission recommends the set up of a monitor group to report and address any new development that can lead to a better understanding and management of the sockeye population”. Something of that nature. The thing is that the life cycle of salmon is quite complex and involves a vast array of environmental conditions in the mountains, in the lakes and rivers and in the ocean. It takes 4 to up to 6 years for a sockeye to return to its birthplace and many events can take place on their route. The high return depends on how many eggs were laid, how many hatched, how many juvenile salmon survived in fresh water and later in salt water. The survival rate can depend on how much food they had available on their trip, or on the population of their natural predators. And all this may be the result of human activity, but also of natural causes. Fact is very few people really know, and can really know what happened. Yet, most of the participants claim to have the knowledge that explains a drop in the sockeye population. There just seems to be less knowledge available about why the population increased. The whole controversy is not so much about science as it is about politics. In the highly polarized political world of BC, looking for consensus is obviously not enough fun. Fighting is where the joy is, even if it means that everyone may lose in the end. Let’s face it; it does not take a genius to figure out how to have a harmonious cohabitation of fisheries and aquaculture. Unfortunately, there is little action in that direction. Once the problem is solved, there would be nothing left to criticize. Being a critic is a remunerated job. With the high numbers of fish coming back, a new claim appears: salmon farms are not causing any problem at all, without presenting any science-based proof of that. Of course, this conclusion is already challenged. Remember what I said about polarization. The controversy will go on, as time goes by and future returns will probably show lower levels again. Salmon farmers are not off the hook. And this brings me to what goes beyond the discussion about science in the salmon debate. 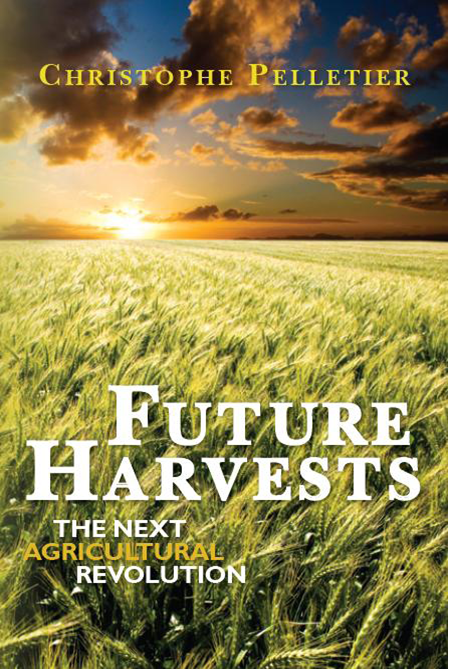 It illustrates several topics that I address in my book Future Harvests: sustainability and market orientation. With the high numbers of sockeye, the word out there is to catch as much as they can. I was talking with a fish broker last week. He told me that there is so much fishing activity in the plans that there is a shortage of ice and of totes to hold the fish in processing plants. A few weeks ago, the BC environmentalists denounced the certification of Fraser River sockeye as sustainable by the Marine Stewardship Council, claiming that the low return numbers of last year told a different story. Now, the numbers are so high that fishermen seem very eager to fish as much as possible and sustainability concerns have disappeared. It could be a good idea to take only what is possible to process and sell, and let the surplus of fish to swim back into the rivers and lay as many eggs as possible. This would help keeping high numbers for the return in 4-6 years from now. It would be rather sad to deplete the future stocks. Although fishermen have always criticized salmon farming companies for being driven by profit only, their attitude with the current situation follows pretty much that logic, though. With prices going down, I expect to hear soon some fishermen complain that there is too much sockeye. Question is who will get the blame this time? This rush to catch that many fish illustrates the lack of market-oriented thinking. In fact, it could hardly be any more production driven. Fish brokers wonder where to sell all that fish. Simple economics tell that the price for salmon will fall. This has already started, and is likely to continue. Maybe saving more salmon to go reproduce in the rivers would have contributed to get better prices, too. In economics, this behaviour is known as the “preference of the present”. For instance, when you have a limited amount of water to cross the desert, you will choose to drink it up to satisfy your thirst, instead of rationing it and keep some for tomorrow. Tonight, I will go for sushi! Copyright 2010 – The Happy Future Group Consulting Ltd.
Future Harvests – The book is coming soon! The editing of my book “Future Harvests – The next agricultural revolution” is about completed. All that is left to do is developing the cover and start the publishing. I have already received orders, even before the book is out. That is quite a good sign. And a great surprise for me. If you wish to be updated automatically when the book is published, just subscribe in the sidebar window on the right. To describe the topics addressed, I have posted three short promotional videos on YouTube. In previous articles (The fun of writing this book and The next agricultural revolution), I had already given an idea about the content of the book. Video #1: The Fundamentals (duration 2:37) – Introduction to the background and fundamental principles mentioned in the book “Future Harvests – The next agricultural revolution” to achieve food security for 9 billion people in 2050. Topics such as demographics, the shift in economic power, the control of food and food security strategies are reviewed. Sustainability, innovation, efficient market driven food production and strong leadership are required. Video #2: The Actions (duration 2:12) – A short review of some of the actions mentioned in the book to achieve the objectives. Solving the water challenge, finding new land for production, urban farming, hydroponics, farming the desert, rebuilding fisheries and developing aquaculture further are all possibilities. Video #3: The Questions (duration 3:08) – A sample of some of the questions raised in the book. They cover technology, land deals in Africa, improving yields, restoring soil fertility, change in consumer needs, organic farming, risks of conflicts, biofuels or meat are some of the topics presented. If you know someone who could be interested by the topics on this page, please pass it on! Over the last few months, I have been working quite a bit on writing this book about the future of agriculture. I must say that compiling in one book a wide range of topics that, without any doubt, will be part of the future of our food production has been an exhilarating experience. From demographics in full motion to the latest in technology, we can envision many different scenarios to set up the most efficient food production possible, as local farmers, industry NGOs and governments will need to find optimal solutions with the land, the water, the labor force and the capital available to them. Water and soil will be of vital importance, and their proper management is essential for the stability of many countries. In the future, there will be no room left for wastage and inefficiencies, or we all will be punished if we get complacent. Similarly, we will need to change our thinking and accept that solving future problems will not be about transferring a one-fit-all model to very diverse situations. We might have had the illusion that it once worked, but it actually did not. We will learn from the mistake of the past to perform better. Sustainability is not an option; it is the only choice, because per definition what is not sustainable is doomed. As food is a necessity, and since when we share between 9 billion people there is less left for each of us than when we shared between 4 billion, efficiency will be paramount. This will affect food prices and social stability. Technology is necessary but it is not the panacea in itself. The most needed resource for the future is strong visionary leadership to help us develop the plan for the next decades. Let’s prepare ourselves for a deep change and we must accept the idea that we might have futuristic farms run by robots, satellites and computers in some regions as well as local urban gardeners in the heart of the cities, where 70% of the world population is expected to live. We will have small organic farmers and we will have large industrial farms using genetically engineered crops, but we also will have large highly efficient semi-organic farms that will combine the best of both worlds. We still will have specialized farms as well as mixed operations. Hydroponics and aquaponics will grow substantially in the future. Today’s diet will be revisited and excesses will be out of place. Should we become vegetarians or do we simply need to eat less meat? Will aquaculture live up to the expectation and become the main source of animal protein? You will find out in the book. Countries will have to think on how to guarantee food security to their populations. If it is not done well, this challenging task might end up in serious conflicts. Foreign and private investment in land and farming will continue in Asia and Africa. If managed properly, they will bring much prosperity to these regions, but if not managed properly, then we can fear the worst. All these topics and many more will be presented in the book and I hope that it will help readers to understand all the variables that are at play, as well as it will help them get a more objective view of many controversial topics such as GMOs, nanotechnology or in-vitro meat. Once readers will have finished the book, they will be able to figure out whether and how we can feed 9 billion people. Thanks to examples from all over the world in as diverse countries as Uganda, Kenya, the USA, China, Indonesia, India, Brazil, Argentina, France, The Netherlands, Cuba, Kazakhstan and many more, we discover a myriad of different situations and solutions that illustrate human ingenuity to produce food. However, for now just a few more months of patience as I need to get through the process of publishing. Aquaculture: the solution to feed 9 billion people? Last week, BioScience published an article based on the research of a group of researchers from the CSIC (Consejo Superior de Investigaciones Científicas), the Spanish High Council for Scientific Research. They present their views on the potential of marine aquaculture to provide enough food for the growing world population. The authors of the report do not see fisheries as a significant option anymore, as the wild fish stocks are depleted, and the amount of time to replenish the stocks will be too long for fisheries to be able to meet the needs of the population. Aquaculture has gradually compensated the demand for fish that fisheries were not able to supply, and half of the seafood consumed today already originate from aquaculture. It is the fastest growing food supply activity and the projections for future growth are very strong. The researchers think that marine aquaculture could multiply its production by a factor 20 by 2050 and thus would play a major role in providing the world population with animal protein. They bring up some interesting facts about agriculture and land animal farming. For instance, it takes 10 times more water per calorie to produce meat than it does to produce grains. Further, animal meat products represent only 3.5% of food production, but they consume 45% of the water used in agriculture. Considering demand for meat is expected to increase by 21% between 2005 and 2015, and will keep on increasing, this will only exacerbate this situation. Another point that this group raises is the global nitrogen-use efficiency in animal productions. According to their sources, it is slightly more than 10% for land animals (5% for beef and 15% for pork), which makes their production a major source of nitrogen inputs to the environment. In contrast, marine animals have much greater nitrogen-use efficiency, at about 20% for shrimp and 30% for fish. Therefore, marine aquaculture culture releases two to three times less nitrogen to the environment than livestock production does. From an environmental point of view, the idea of shifting the production of animal protein from the land where it uses scarce resources such as land and water, to the ocean where space and water are no limitations anymore sounds very sensible. From a nutritional point of view, replacing meat and dairy by seafood that is rich in healthy components such as omega-3 fatty acids is quite attractive, too. They also notice that the land available for agriculture is shrinking, due to soil degradation and urbanism. Further, there is a growing scarcity of fresh water and increased competition for water as well. Therefore, activities on land do not offer the potential to grow all that much more food to feed the growing population. Even freshwater aquaculture faces these limitations. Freshwater aquaculture currently 57% of total aquaculture, therefore there is an untapped potential with marine aquaculture, as it does not use fresh water. Of course, the main challenge to execute such a development of marine aquaculture production is to find the proper quality and quantity of feed. The researchers do not see the use of fishmeal and fish oil as an option anymore as they predict that the species used to make these products will not be able in sufficient quantities. Replacement by protein and oils from agriculture crops is an option for the short-term, but as aquaculture volumes would increase, the competition for these ingredients with meat production will make them too expensive, and for the reasons explained above, depending on land agriculture to feed marine species will face crop production limitations. Therefore, they prefer to envision a total new approach of aquaculture feeds, and recommend developing a new feed chain based on aquatic ingredients, such planktons, microalgae and seaweed. This approach makes sense, but the time lines to develop such a supply source and the cost of production of such an “aquatic” feed still need to be investigated. Several “seaweed farms” in production in China show interesting results and they seem to promise a strong potential of production for feed. Another development that they expect is offshore aquaculture. Aquaculture operations located in coastal areas, although they are easier to access and generally in quieter waters, are very often located in zones where there are local issues to deal with, such as interaction with wild fish or recreational activities. Moving offshore can reduce these issues. As you can see, developing the future of aquaculture is not simply a matter of growing fish in pens, but it requires a broader thinking that includes not only the oceans but agriculture on land, too. The future of food will require from us the ability to manage the whole planet! Health concerns will gain more importance in the future in the decision process of consumers when they buy their food. More and more, we can hear and read about concerns and even rejection of the current production systems. Although this bad publicity is not always based on the most objective facts, it has been able to find a growing audience. Since most consumers have little or no knowledge of agriculture and food, their only source of information is in the popular media. On the other side of the discussion, the agri-food industry is not getting through, because its message tends to be too defensive and too technical. Unfortunately for the industry, errors from the past (for example, the use of DDT) or cases from other industries (for example, tobacco) contribute to cast a shadow on its credibility. As I wrote my previous article “Less controversy thanks to transparency”, the agribusiness will achieve much more by opening up and having consumers visit their premises so that they can tell what they saw. They must organize more Open House days. Therefore, for now, consumers have a certain perception of how food is produced, and it is not so relevant to argue whether this perception is correct or not. Perception simply is reality, and consumers act according to what they believe is true. There is a growing concern about environmental and health aspects of food production. About the environment, you can list very diverse things such as the depletion of wild fish stocks in the oceans, the interaction between aquaculture and wild fish stocks, manure and smell of intensive animal husbandry and impact of manure on soils and drinking water, deforestation of rainforest for ranching of beef or about growing GMOs (Genetically Modified Organisms). On the health side, consumers worry about food poisoning due to bacteria, such as E. Coli, listeria, campylobacter and salmonella, but also about residues of pesticides or antibiotics, as well as they worry about the use of hormones in animal productions. As the discussions get more animated in the US about the reform of health care and the cost of obesity, more and more people are wondering about whether the fast food diet is a proper one. Next to this, animal welfare is a growing concern by more and more consumers. The answer to many of these worries has started to appear in the last few years with the growth of the organic market segment. When we see the growth and the performance of a retailer such as Whole Foods, there is no doubt that organic foods have a growing audience. The concerns about the environment are forcing retailers, food service and businesses involved in the production chain of food to make changes. Some of the actions they have taken can be seen as marketing or PR, but they also have become mainstream. Just a look at how many restaurant and supermarket chains have already implemented sustainable seafood programs indicates how serious this change in consumer attitude is. Fast food chains are also actively working on reducing their environmental impact and set standards on where they source their meat, based on environmental concerns, such as no beef from ranches deforesting the Brazilian rainforest. In the past, we have seen some examples of production methods that had to be abandoned, simply because no solution to cope with environmental problems could be found. This has been the case in The Netherlands where the level of intensification caused such manure surpluses and risks of animal disease to such a point that after many years of looking for viable technical solutions in vain, the government decided that the size of the national herds had to be reduced. Similarly to what happened in Europe over the last decade, we can expect that much stricter rules in the use of antibiotics will be applied, and I expect a similar trend to a progressive elimination of the use of hormones in animal husbandry. About animal welfare, there should not be any surprise the day that only husbandry systems that allow enough “recreation” area for animals will be allowed. All of the above is going to have an impact on how and where food is produced. Systems will become less intensive, and progressively we will see more techniques to improve efficiency to compensate. As I also had mentioned in another article (Future price of fish and meat: up), it is simple logic that with more people to feed, food is going to become more expensive. However, the relative prices of various food products also need to go along their relative health benefits. Today, it looks like only wealthy people can afford a healthy diet, as the price of “good” food is substantially higher than the price of what makes a nutritionally unbalanced meal. This clearly does not work in the direction of a healthier population at large. The way consumers think will define the way we eat and produce our food. Many changes in consumption patterns, in production systems and in product offering are under way. I will get back later with more details on what my views are on this. Copyright 2009 The Happy Future Group Consulting Ltd.
You are currently browsing the archives for the Oceans category. More and more students from high schools to universities from countries all over the world visit The Food Futurist website. This is why I am planning on developing specific offerings for the education sector, as I consider youth as being our future and the Future of Food and Agriculture is a vital discipline for the coming decades. If you are interested in having me work with you, please do not hesitate to contact me. Join the Food Futurist Club for free! You liked these articles and you want to be notified of new posts? Enter your email address to subscribe! Get ahead of the pack! Video includes snippets about change, innovation, next generation of ag professionals, driverless tractors, ag robots, computers and irrational food consumers. Do you want to meet? The quality of a futurist can be measured by the accuracy of his/her past predictions. Please, click here to read about mine! To address in a non-biased and pragmatic manner issues that will affect future food supply and food production. The goal is to stimulate critical thinking about effective action for a successful future of food and farming. This is part of The Food Futurist's mission, which is about helping clients challenge today’s certainties, shape the future, and manage the transition with a targeted and practical action plan for the coming decades. Click here to read some quotes from my writing and speaking! A book with true foresight! Published in the summer of 2010, long before the current hype, it already announced new food price hikes and the potential for unrest in the Arab world. This was all over the news in early 2011! And Future Harvests contains many more predictions of what will come. Read about the future before everyone else! We Will Reap What We Sow is Future Harvests II. It starts where Future Harvests ends and it focuses on the role of leadership and the responsibility of us all, consumers as well as producers, to meet future demand in a sustainable manner. The must read for all decision makers! Futurism is sensible thinking about the most likely and logical evolution that will take place in the years to come. It requires analysis, understanding of the past, vision and intuition for things to come. Therefore, it is neither having a crystal ball, nor writing science fiction. To envision the full picture, I combine science and philosophy, analysis and intuition, technology and human nature, in all areas necessary for the analysis. Is animal farming really on the way out? Running out of time or simply not running at all? What is food -and implications for the future? Who wants to know the future?